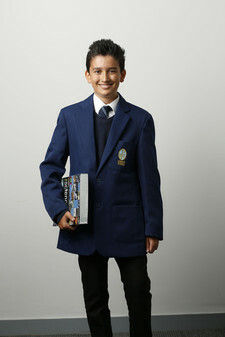 Christ’s School has a strict uniform policy. We believe this helps students take a pride in their appearance and promotes a positive mage of our school. Pupils are expected to wear the full uniform tidily at all times. Trainers are not acceptable as school shoes. Trousers should be normal school trousers: denim or cord type material is not acceptable. All students must wear the approved school uniform that is sold through our uniform supplier Stevensons. Details of how to buy can be found below under 'How To Order'. On Friday 19 October 2018, Christ's switched to a new uniform supplier. Our new supplier, Stevensons, has both a flagship store in the centre of Twickenham and an online store. Stevensons can be found at 1-15 Heath Road, Twickenham, Middlesex, TW1 4DB or online at www.stevensons.co.uk/schools/christs-school-richmond/822. The store is open Monday to Saturday from 9:00-5:30. They can be contacted via email twickenhambranch@stevensons.co.uk or telephone 020 8892 2201.